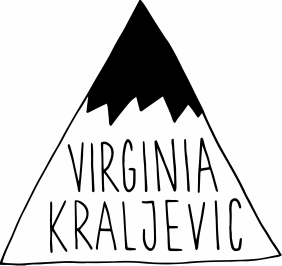 Virginia Kraljevic is an American fine artist and illustrator in New York City. Her distinctive pen and ink drawings have appeared on an array of surfaces from clothing, wall decor, gifts, and books to stationery, automobiles, brochures, and catalogs. ​Collaborations and international clients have included brands such as Lacoste, IKEA, West Elm, Vans, and Suzuki. ​Virginia has guest lectured at the School of Visual Arts and served on design panels for the Etsy Success Symposium and SEGD Conference. Her cover art of The Wisdom Tree, five novellas written by Nick Earls and designed by Sandy Cull, won Best Design for a Series at the 65th Australian Book Design Awards.